Australians are finding it harder to get home loans, with brokers warning banks are further tightening lending criteria in the wake of the banking royal commission. 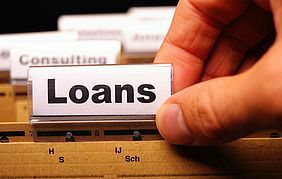 The warning follows comments by Reserve Bank governor Philip Lowe, who said in a speech on Tuesday that it could become tougher for households to secure home loans and borrowing costs might rise as a result of the poor banking behaviour exposed at the Hayne royal commission. “It is possible that lending standards in Australia will be tightened further in the context of the current high level of public scrutiny,” Dr Lowe said. Australia’s biggest banks had already tightened lending standards in recent years, clamping down on interest-only mortgages and loans with high loan-to-valuation ratios to comply with restrictions imposed by regulators. Morgan Stanley’s loan tracker shows that investor mortgage growth slowed to around 5 per cent in March and it expects further pressure from new debt to income limits and more focus on responsible lending. David Bailey, chief executive of the Australian Finance Group — the nation’s largest broker network — agreed with Mr Lowe’s comments, adding that there was now closer scrutiny by regulators and a new understanding of household debt levels. “Certain lenders are starting to understand that rather than rely on a standard benchmark, they need to also now understand a customer’s discretionary spend,” Mr Bailey said. The Mortgage Group’s David Seaman said it was getting tougher for people to get loans. “If you’re on an income of $65,000 the only way you’ll get a loan is if you have no credit card, no debt whatsoever,” Mr Seaman said. Mr Seaman added that he was concerned the royal commission would lead to even more regulation of the lending industry. “You can’t have the banking industry scrutinised in the way it is without having a negative effect on the economy,” he said. Scott Butler, a Toowoomba-based mortgage broker with Edge Lending Solutions, said lending conditions had tightened in the past three weeks as banks demanded greater disclosure of living expenses. “Previously lenders would take a baseline level and say if you’re a family with two children we expect you to spend $3600 a month on base living costs and anything left over of that could go to servicing debts,” Mr Butler said. First-home-buyer specialist mortgage broker Will Unkles of 40 Forty Finance said while it was too early to determine the full impact of tightening lending conditions, there were early signs the market was preparing for the change. He said borrowers no longer thought prices were rising so they should borrow as much as they could to enter the market.